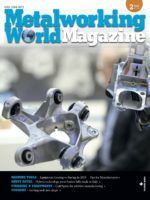 In the field of the sheet-metal working machines, several new technologies have recently arisen, which are gradually replacing the traditional ones. Among these, one of the most important is the “flexible rollforming”. STAM Spa is a pioneer of processing machines for coil sheets and rollforming lines, it has been one of the firsts company worldwide in developing this new technology. Nowadays, it is recognized as a specialist in this field. STAM rollforming lines are used in the automotive, building, home appliances, energy, infrastructures and logistics sectors. They guarantee an extraordinary flexibility and they can change in few minutes from the production of a particular type of profile to another. This change does not require any manual intervention and is thus a real advantage both for the production of the big batches and the small ones. 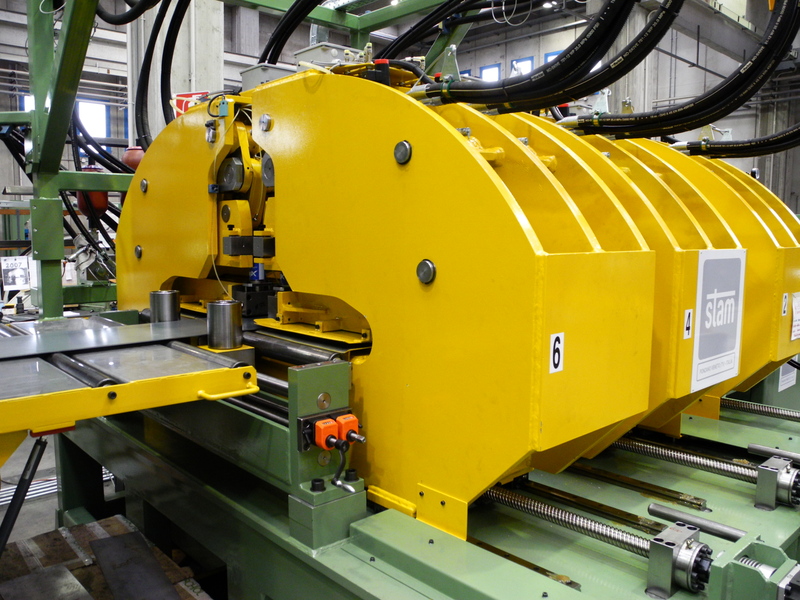 The production lines developed in STAM can punch, rollform, cut and stack these profiles in a completely automatic and flexible mode. The pre-punching unit of the strip is automatic and flexible, and it is equipped with all the punches necessary for the different products. The cutting process can be done either before rollforming, so to avoid interchangeable cutting tools for the different profiles, or after rollforming, by flying cutting systems. The traditional limit of flare of the profiles has been solved by using a set of forming tools, which remove tension, flare and torsion effects, granting a production of high-quality profiles, in the whole thickness range. To mention some examples of the last rollforming lines, for the construction sector STAM produced purlin rollforming lines for U, C, Z and Sigma profiles – for industrial purposes and prefabricated constructions in general. These profiles can have variable sizes and thicknesses: the profile width varies from 100 to 400 mm, the height from 40 to 100 mm and the thicknesses from 1 to 4 mm, with possible extensions of these ranges. The purlin machine can change from any profile to another, among the range indicated, without any manual change in short time: the passage from a C profile 100/400/100, 4 mm thick, to a Z profile 50/200/50, 2 mm thick, is done in about 6 minutes. These rollforming lines can punch, rollform, make the middle and the end “Tab” supports, cut-to-length and stack the various profiles necessary to the building construction, in an automatic and flexible mode. All the required adjustments are handled by computer without operator’s direct attendance. STAM implemented several innovations in the punching systems by adding, for example, laser machines. These permit the punching and notching of various shapes on the strip before the rollforming process, the nibbling on the strip of some writing (name, logo etc.) and the possibility to cut the strip at 45°. To optimize the production process, STAM realized different kind of flexible punching machines: quick punching presses, double counter posed presses (up to 16) and single CNC presses with various punching tools. These solutions aim to perform the necessary holes in high speed. Finally, in addition to the rollforming lines, STAM produces cutting lines covering a broad range of thicknesses, and processing several material: cold or hot rolled steel, galvanised steel, pre-painted, high tensile steel, stainless steel, aluminium, copper, zinc, alloys. These lines have always been a crucial part of STAM products and they are characterized by flexibility and modern technology in both designing and fabrication.